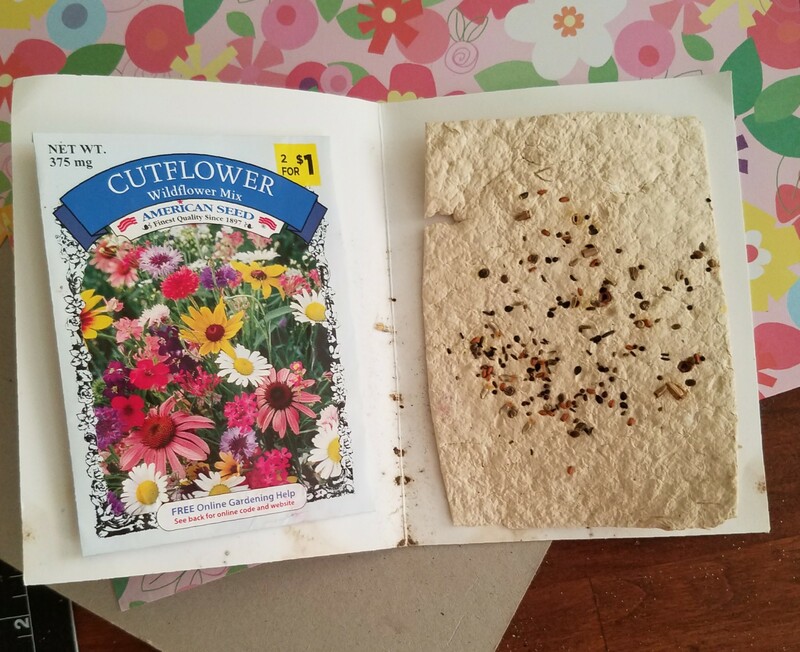 Inside my card is some handmade paper I made with flower seeds that can be planted. I tore up scrapbook paper soak in water put into blender with small amount of water. Blend paper until smooth. Strain thru mesh. Add in seeds and smooth out to dry. Drying times vary by weather . Great to do with kids for Mother’s day. This entry was posted in crafts and tagged cardmaking, Craft, paper crafts. Bookmark the permalink. My Little Town- Melville, La. Oh, this should be interesting. I somehow saw paper handmade, but did not think that it was easy to do. This is unique and fun 🙂 Thanks for sharing. Why do you add the seeds? Just for texture, or do you plant the paper? Its great for texture – put you can wet the paper and plant it.